The Pacific Grove Feast of Lanterns, Inc., is a 501(c)(3) organization whose purpose is to further and enhance the culture, history and heritage of the City of Pacific Grove through civic and cultural activities, including the annual Feast of Lanterns Festival, and to provide scholarships for the continued education of the Royal Court and Royal Guard through an annual scholarship fund. 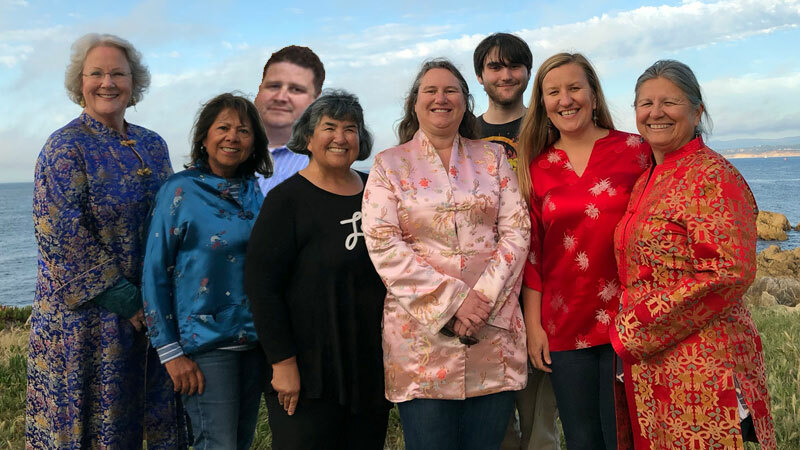 The Feast of Lanterns' Royal Court and Royal Guard members are selected by a panel of community leaders from applicants who are middle and high school-aged youth who live in the Pacific Grove Unified School District. Those who are selected excel academically and are active in community service and extra-curricular and non-school activities and represent the City of Pacific Grove as the Royal Court and Royal Guard for one year. The proceeds of the festival each year, minus operating expenses, fund an academic scholarship program to benefit the Royal Court and Royal Guard. There are a multitude of ways you can help keep the lanterns lit - become a volunteer at any one of the events or join any number of planning committees, make a monetary contribution to the Feast of Lanterns, or become an event or general sponsor. Volunteer - it's fun, fun, fun! Each year the Feast of Lanterns depends on its volunteers to work with its Board of Directors to put on all the wonderful events the community enjoys each year. We need help with planning and with the execution of the events. To find out more about volunteering, contact the Feast of Lanterns using the contact form at the top of the page or pick up a FOL Volunteer form at the Museum, Library, or Chamber of Commerce. The Feast of Lanterns is made possible through your financial support. Learn more about sponsorships and donations on this website. You can also mail a donation directly to us at PO Box 809, Pacific Grove, CA 93950. Any persons requiring auxiliary aids or services while attending Pacific Grove’s Feast of Lanterns may contact the festival by using our contact form or mailing us at P.O. Box 809, Pacific Grove, CA 93950. The Feast of Lanterns has an all volunteer Board of Directors. The proceeds of the festival each year, minus operating expenses, fund an academic scholarship program for the "royal court", who are community spirited, active middle and high school students. Greetings from the Feast of Lanterns Board of Directors. First, we would like to send a huge thank you to those who helped us last year. With your help, we did it! Once again, the board is working diligently to bring you and your family the best Feast possible. As you know, it takes lots of money to bring our traditional celebration to our Pacific Grove family and friends. The Board of Directors is totally responsible for raising those funds. It has become more and more difficult, but we have faith that we will be able to “get the job done” again this year. Visit our Help Us page to see ways you can help us keep the heritage of Pacific Grove alive and to award scholarships to young men and women in our community. This year’s celebration will begin with a special event to kick-off at a Beach House Brunch, a fundraising event including live and silent auctions, please visit our Calendar page or contact Joe Shammas at PG Travel for dates and times.